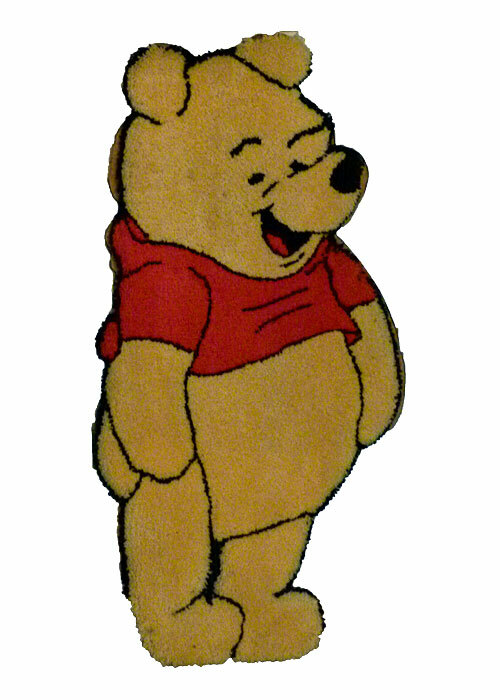 … the bear’s name was Winnie-the-Pooh, or Pooh for short (but never Winnie) and his friends were Piglet, Owl, Eeyore, Kanga and baby Roo, Tigger, Rabbit and all Rabbit’s friends and relations. And the little boy was called Christopher Robin, whose job was to be In Charge and make sure Everything Turned Out Alright In The End. All of them lived in the forest even longer ago than last Friday, before you were born. It was very soon after the world had gone mad and everyone promised never, ever, to do that again. The forest was an awfully special place where even the rain was kind, as long as you had an umbrella, and where Winnie-the-Pooh and his friends had lots of exciting adventures. “I thought it was bees you could never tell with?” I asked. Oh! Three went into the wood! Yes! Three went into the wood! If only they knew the Right Way to go! As long as they found that Silly Old Bear! Oh! Three set off to find Pooh! Yes! Three set off to find Pooh! They might even spot a Heffalump, or more! “Look! 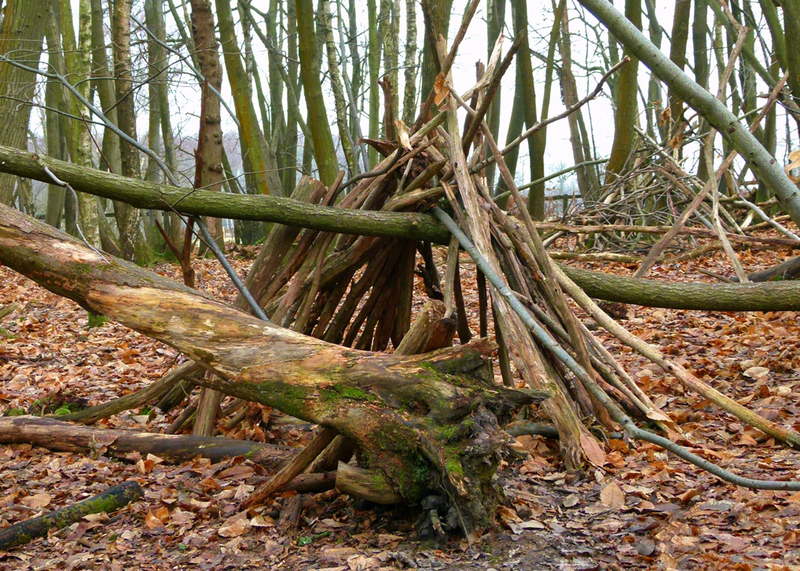 I think that’s Eeyore’s Gloomy Place.” He pointed at a sort of wigwam of sticks by a tree. So they went on. 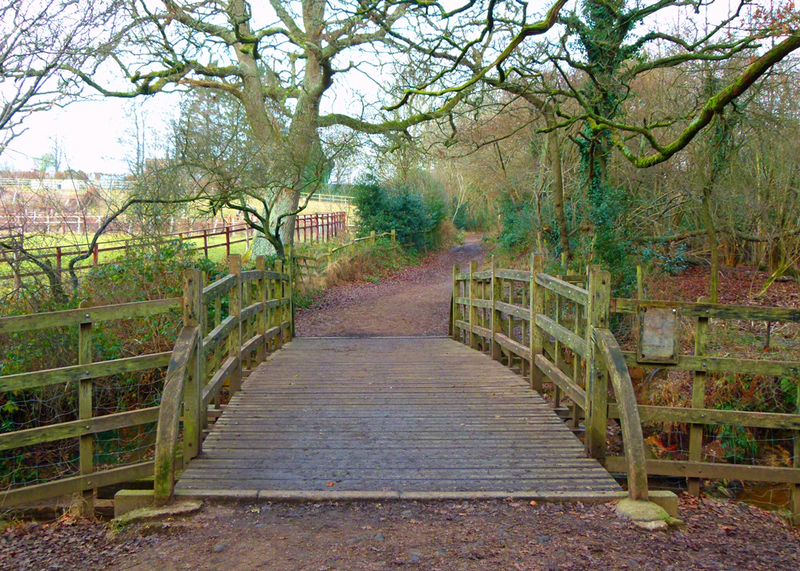 Ericson thought, “If we can find Pooh Bridge, perhaps we’ll see him and Christopher Robin and we can all play Pooh Sticks.” This cheered him up no end and he began looking for suitable sticks, because he knew there wouldn’t be any to be found near the bridge. By-and-by, the path widened out and then, round a corner, was the Bridge. It was exactly the kind of place where you’d expect to find Pooh. But there was no one about; not even a Piglet. And the reason for this soon became clear, for when they clattered over the planks they saw that there was hardly any water in the stream below. 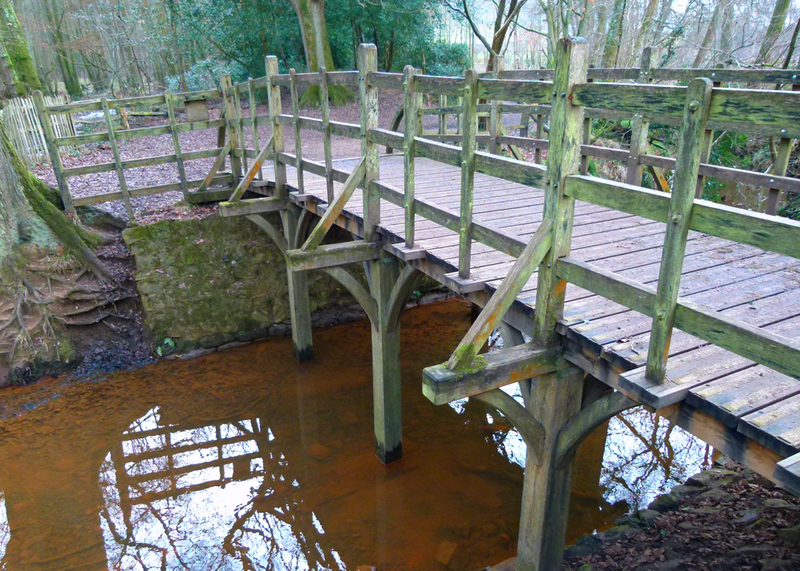 No Pooh – and no Pooh Sticks. Now, for those that don’t know, we had better explain that Pooh Sticks is a game of tension for at least two players. You will need several sticks of comparable size, a convenient bridge and, under the bridge, a gently flowing river or stream, without anything awkward like large rocks or donkeys in it to impede progress. Without flowing water, the game simply will not work. Each player takes a stick and holds it over the parapet on the upstream side of the bridge. On the command, the players simultaneously drop their sticks into the water and quickly proceed across to peer over the downstream parapet. The person whose stick emerges first is the winner. It is a game suitable for all ages but most often played when we were very young. “We could always go to the Enchanted Place,” suggested Cook. So that is what they did. They reached the Top and, unlike Pooh, had no breath for even a little hum. “Let’s go to Pooh Corner,” said Cook. And they did. “So you didn’t find us, then,” remarked the growly voice, a little sadly. If you haven’t been properly introduced to Winnie-the-Pooh, none of the above will mean much to you. Sorry. Alan Alexander Milne was an accomplished London-based playwright and novelist, who purchased Cotchford Farm on the edge of Ashdown Forest, East Sussex, in 1925. It was initially a weekend retreat for himself, his wife, Daphne de Sélincourt (1890-1971) and their young son Christopher Robin (1920-1996) and it was there that Winnie-the-Pooh was conceived and born. AA Milne published the first book of Pooh stories, Winnie-The-Pooh, in 1926, followed by The House at Pooh Corner in 1928. Pooh and Christopher Robin initially appeared in a children’s book of verse, When We Were Very Young, in 1924 and there was a further book of verse, Now We Are Six, in 1927. All books were captivatingly illustrated by EH Shepard and the drawings are as much a part of the legend as the stories. Pooh and friends were well-constructed characters who had charmingly simple, imaginative and amusing adventures, partly inspired by Christopher Robin himself, his collection of cuddly toys and the 6,500 acre Ashdown Forest, about 30-or-so miles south of London, near East Grinstead. 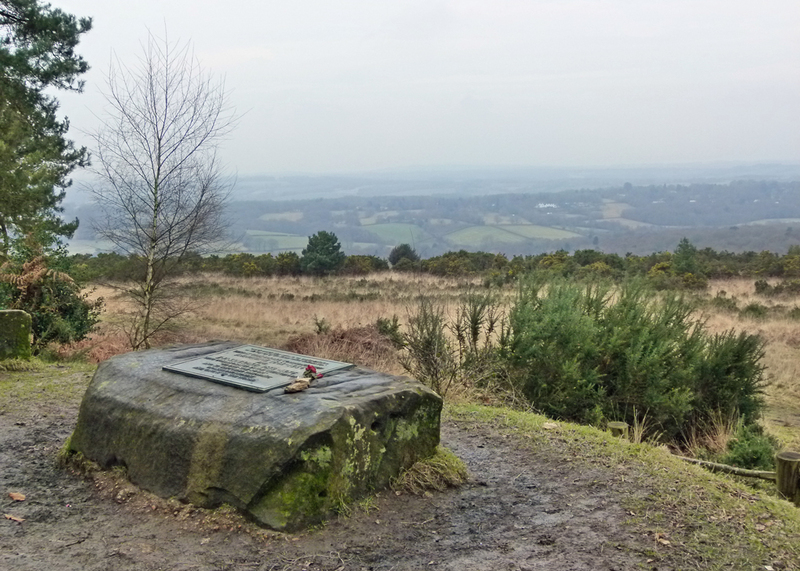 Ashdown Forest was a hunting forest in medieval times but is now largely accessible to the public, with a myriad of walks, open spaces and wonderful views. Situated in an official area of Outstanding Natural Beauty, most of it is actually heathland, a rare and protected habitat. The pictures here do not do it justice – it really was a fairly dull, winter’s, day when they were taken; and we really will return. But it is a place of happy memories, somehow ideally suited to playing and feeling young. 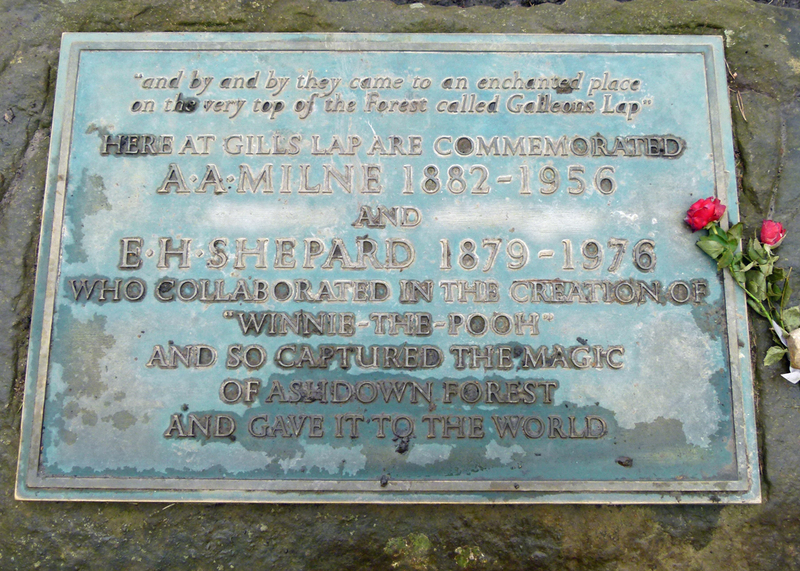 Many of the places associated with Winnie-the-Pooh are real and can be visited – some of them are mentioned above. Cotchford Farm is still there, privately owned; it was on the market for just under £1.9 million in early 2017. AA Milne lived there until he died. Its other claim to fame is that it was also home to Rolling Stone Brian Jones, who drowned in the pool there in 1969. 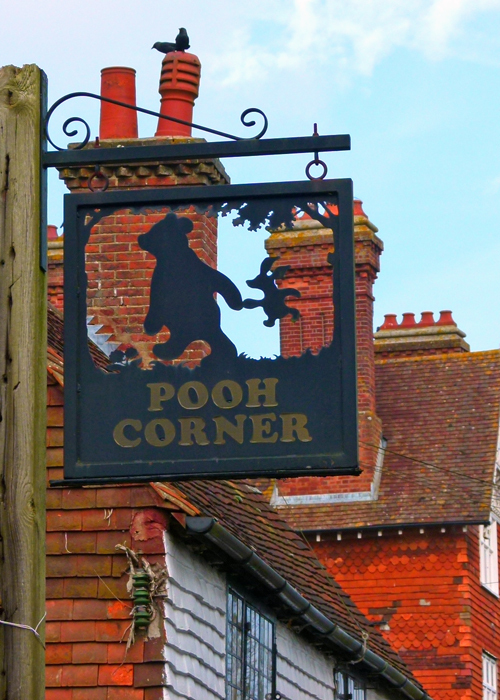 The obvious place to go for a little something (Pooh’s euphemism for a snack) while you’re visiting is Pooh Corner, a café and small emporium in the nearby village of Hartfield that specialises in all things Pooh-related. There you will find more cuddly Pooh-type toys and other paraphernalia than you can shake a Pooh stick at. 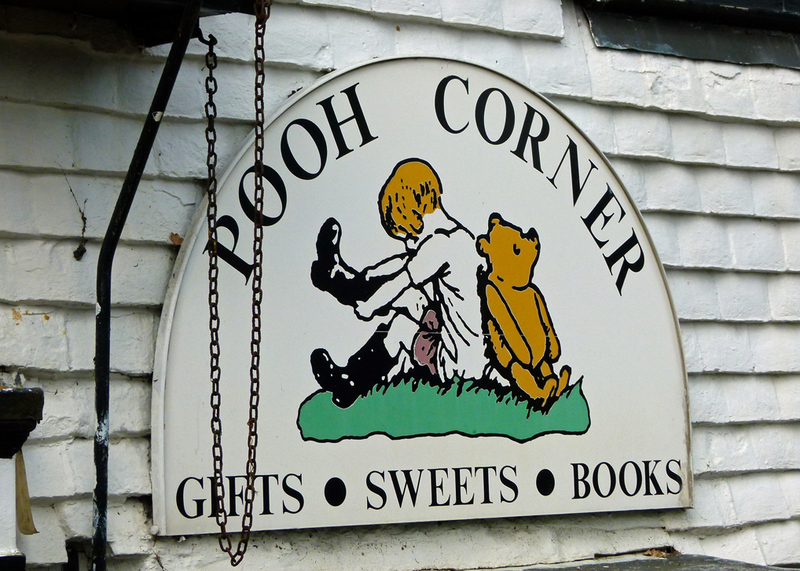 Pooh Corner is everything it should be though, when we popped in, it seemed a little tatty round the edges; it deserves to be busy – go there. And this, I am delighted to say, is as commercial as Pooh’s home territory gets. Horror of horrors, we could have had a Pooh Park and I, for one, am immensely grateful that the urge has been resisted. ‘Winnie’ was named for a bear brought from Winnipeg by a Canadian soldier, Lieutenant Harry Colebourn, during the First World War. When Colebourn went overseas, he left the bear in London Zoo, where the Milnes met her. ‘Pooh’ was a swan, apparently; and that’s all the explanation you’re going to get. Christopher Robin’s original toys somehow ended up in the New York Public Library, where they can be seen every day, except for Kanga’s baby Roo, who has sadly disappeared. There is darkness and possible tragedy behind all the innocence. Milne apparently had a problem with the success of Pooh, which engulfed him and his other work; Pooh became more famous than his creator, a kind of cuddly Frankenstein. Christopher Robin seems to have had an even bigger problem with Christopher Robin, whose twee persona is said to have encouraged bullying at school. He told Gyles Brandreth, a friend in later life, that he came to believe that his father “had got where he was by climbing on my infant shoulders.” As Frank Cottrell Boyce, who penned the screenplay for the 2017 film Goodbye Christopher Robin, wrote, “The tragedy of Milne’s success is that it trapped a real child in that moment like a fly in amber.” It is a graphic simile. Unlike his friend JM Barrie’s eternal boy Peter Pan, AA Milne’s Christopher Robin was real and had to grow up. The film Goodbye Christopher Robin suggests that AA Milne, who served in the army during the Great War, including a spell in a branch of military intelligence called MI7b, was deeply traumatised by the experience – as many were – and suffered from shell-shock, which often manifested itself in flash-backs. Living with the horror of trench warfare, coupled with a privileged, composed, upper middle-class English upbringing, might have been a toxic cocktail. Writing children’s books, it is hinted, was a therapy that he, and indeed the Nation, needed. The Milnes moved in a rarefied stratum of society and, due to AA’s previous success, were obviously not short of a bob or two. Whilst having some sympathy for Christopher Robin’s position, when watching the movie I couldn’t help thinking how so much more fortunate than most other children the lad was; poor little rich kid, was the unkind thought that sprang to mind. The film nevertheless portrays his parents as dysfunctional in that role – Daphne seems herself to have not quite grown up and AA appears as brilliant, but emotionally retarded; if Pooh made their son public property, and they exploited it, maybe they didn’t know any better. Tiddely pom. Enough of this tedious, amateur, analysis! The books are unashamedly products of their time and environment and, though possibly perplexing to those who can’t imagine a childhood like Christopher Robin’s, are enchanting pieces of escapism. They are clever and witty and funny and I used to love them; I find I still do. From 1966, Walt Disney introduced Winnie the Pooh (without the hyphens) to a whole new audience. Though a huge admirer of Disney, I never really got on with his version of Pooh; the accents seem all wrong, I’m afraid, and it comes across as gauche without being charming. But what do I know? Disney’s Pooh has been even more successful than its ancestor and is now a high-value international franchise, some say second only to Micky Mouse; praise indeed. There have been other adaptations, parodies and satires, of the Pooh stories too. But, of course, the main point so far as A Bit About Britain is concerned is that Ashdown Forest is a lovely place to go. We’re on the road to Arizona, but I’m seeing all kinds of photos (on my phone) of major snowfall in the UK. Are you getting it up there too? And how do they deal with snow on already narrow roads? We have wide roads with shoulders, someplace to push the snow with heavy snowplow equipment. Do you just wait until it melts? Curious in Wisconsin. And hoping you don’t have to drive on icy roads and that if you got snow, you made a snowman. An enjoyable read as always, Mike! I love the Pooh books much more than the Disney version, though oddly enough I didn’t have either as a child…I was a teenager before I discovered Pooh! At just about the same time I discovered Tolkien. And Jane Austen. And Thomas Hardy. All of which led me to believe that England had pretty solid handle on Fine Literature – an opinion that has not changed in the decades since. The first part of this post is magical and made me think that – provided you are emotionnally disfonctional enough – you should be a writer. 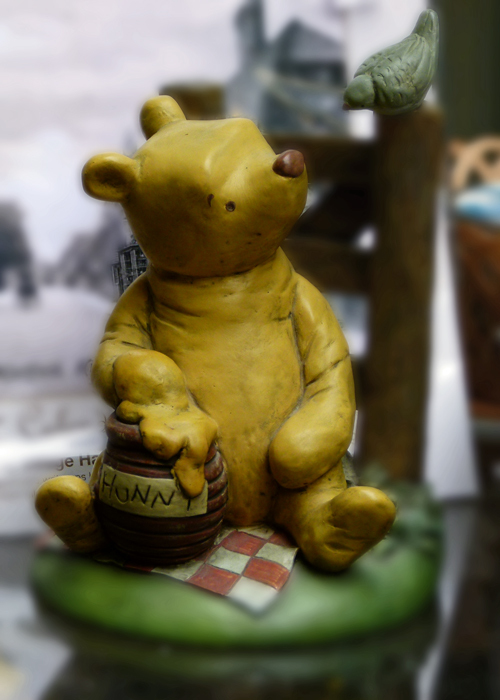 The second part of this post is very interesting and I loved finding out more about the background of Pooh, sorry Winnie-the-with-hyphens. Your autumn scenes are just gorgeous! And you’re never to old for Winnie-the-Pooh! I loved reading this because I and my children were big Pooh fans, the “real” Pooh, not the Disney-fied one. We still quote his wisdom to each other every once in a while and find it as useful as ever! The most enchanting post I’ve read. Maybe ever. And I loved both parts one (the story) and two (the historical background. Every single word –even the amateur analysis which makes a heck of a lot of sense to me! You remind me that now that I have a Baby Grand (albeit too young a BG to understand) I am going to have to ramp up on my Pooh so I can be the one to share these magical stories with him. I have hoped to see this movie. Now I must be sure to make a point of it! Oh how lovely that this area is still the same as when I visited it in 1979; there was more water under the bridge though, and our sticks travelled well. I can’t remember whose stick won! That’s very kind…thank you for dropping by and leaving a comment. What an enchanting journey in search of Winnie-the-Pooh. 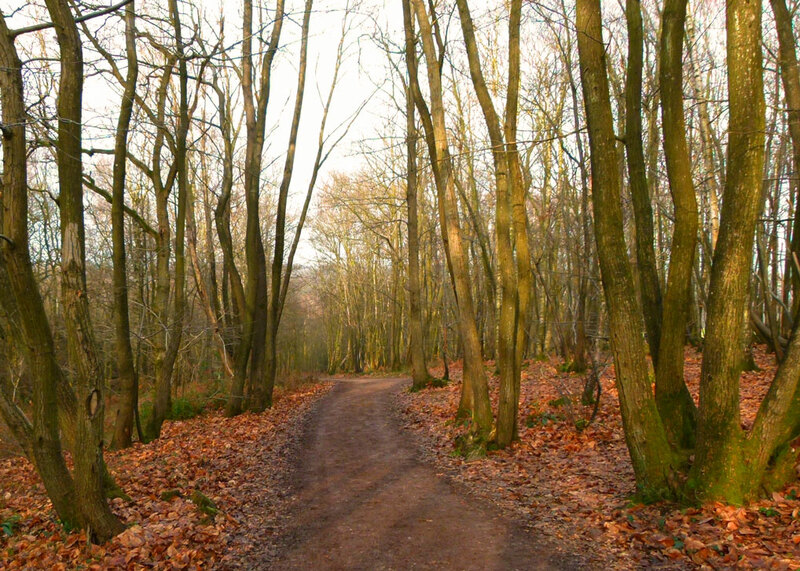 The images were very Pooh-like and I was ready to pull on my sneakers and take to the trail through those woods. Thanks for the great start to the week with a trek through the land of Pooh! I loved Winnie-the Pooh stories when I was little (and big). I kept the books (published in the 1920’s, I think) my mum read to me. I recently passed them onto my daughter. However, children these days prefer the Disney colourful books. But the old ones are something special to keep. How good it must be to wander through Pooh’s forest. Oh I was introduced to Pooh and friends long ago when We Were Six. This post made my heart leap and it became A Very Friendly Day. Ps I’ve started blogging again. Itchy fingers…………. Oh I just adore this post. I love Winnie The Pooh and I have so many happy memories of playing pooh sticks as a child, as a mother and now a grand-mother. Some things you just don’t ever tire of, do you ! I am so happy you did a post about Good Bye Christopher Robin. I was wondering. I often wonder how well movies do telling the true story. I am a WtP fan. Absolutely delightful post! That is coming from a long time fan of Pooh Bear and all of his friends. I still love the stories, and every now and again my 12 year old boy will ask me to read one aloud to him. I drop whatever I’m doing. Always liked the Pooh books and cartoons. Very few words but so much conveyed in each sentence and drawing is a real gift to achieve. I had a period in my 20s where I did a grand tour of all my favourite books/author’s/ musicians/films landscapes down in England but it’s really just a catalyst for extraordinary imagination and sometimes the reality of these places does not match the marvelous fiction. Flood and Fire by Emily Diamand is a real Modern children’s classic I enjoyed recently set in a flooded future London..A cracking read for adults as well. We’re big Pooh fans and play Pooh Sticks any time we cross a small bridge. Not a fan of Disney’s Pooh, you’re right about the voices. I’m not particularly sympathetic to Christopher Robin, everyone uses their kids in one way or another. It’s the only thing to do when crossing a bridge. You know I love this post! I named my son Christopher! I very well know this area and like you, I am very grateful we do have a “Pooh Park” to mess up the landscape. Since I have looked at these beautiful drawings in the books for years, there are times when visit Burwash (where Richard’s friend lives) and I will see a path through some trees and it will remind me so much of Winnie the Pooh that it will stop me in my tracks! (Yes, I am THAT kind of adult!) I expect you know what I mean! Anyway, we spent a good deal of time playing Pooh Sticks over bridges with our Christopher and you are right, not too many Americans knew what we were doing! Very clever and so enjoyable, Mike! I never liked the Disney version at all – just not right. Thank you, Clare; hope it raised a tiny giggle. Oh I enjoyed this post so much, having grown up with all the Milne books. My mother had them from when she was a teacher in the 1940s. It was lovely to see your photos of the place, a first for me. Cheers. Thanks, Patricia; I remember my mum reading them to me – precious memories. You deserve an award for this blog, not just this post! Lisa, you’re always very kind! Maybe not Pooh on all Disney? Oh – that’s a VERY precious memory!! I can certainly see why such a place would inspire some of those stories! Loved this post; so much information I didn’t know. As an Aussie child of the 50s, I enjoyed reading House at Pooh Corner. My imagination provided the ‘voices’ of the characters and Disney’s interpretation just didn’t ‘cut it’ with me. Thank you so much, Maria, for dropping in and leaving a comment. I know what you mean; though I kind of think that Pooh needs to be read out loud? 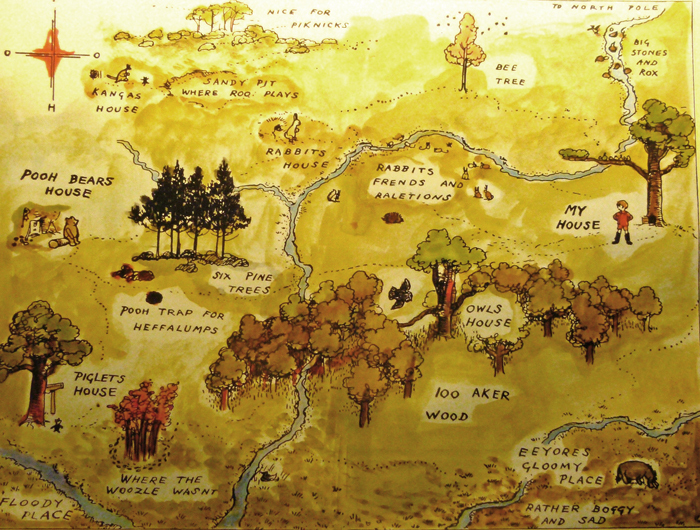 I had no idea that the 100 acre wood was based on a specific place! My littles caught me laughing at your skillful storytelling, and had to hear it read aloud (sans the straight history bit 🙂 ) Now they’ve brought me our copy of Winnie-the-Pooh and are asking for story time in Very Determined Voices. That’s wonderful! It sounds as though it’s something that needs to be taken Very Seriously! Hope they have/had lovely dreams. – and no Heffalumps. I was not given Winnie the Pooh as a child…I had Alice in Wonderland instead…so only came across the books through friends who had grown up on them continually quoting from them and calling me Eyore! That is a beautifl part of the country…do you happen to know if the mother was related to Hugh de Selincourt who wrote ‘The Cricket Match’? I really enjoyed this post! I think it would be grand to spend a year in Britain and venture out and about to see what I can see. Thanks for your great research and information! Thanks,. Ellen! Go for the grand tour – but hire a modest-sized car, because some of the backroads are TINY. I pegged a tee shirt from The Shop out on the washing line only this morning. Inspite of being a vintage teddy bear fan, I have never read any of the WtP adventures but we bought some stories a few years ago to be read to me at my bedtime. They put me to sleep beautifully. Lovely post, thank you. Thanks Lesley – that’s a coincidence! I suspect that I was too old for WtP even as a child. I could probably appreciate it now in a slightly wistful way. I did enjoy your pastiche, though. If the sticks are of similar dimensions, how do you work out whose has won? You’re never too old for WtP 🙂 Good question – similar enough to ensure fairness, but not so similar as to cause arguments over which stick is which.